The Hult Prize is a global competition that challenges students from around the globe to solve the world’s most pressing issues. This year’s challenge is to build sustainable and scalable social enterprises to address early childhood education. On December 6th, CMC students stepped up to the challenge. 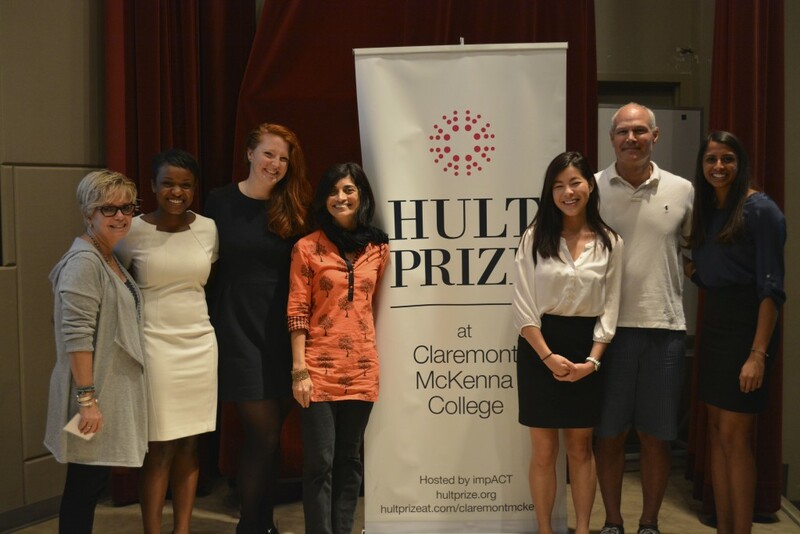 50 Claremont McKenna students pitched their ideas for a social enterprise that would make early childhood education available to all children around the world, however only four students advanced to the Hult Prize Regional Finals in San Francisco, March 13-14. Representing Claremont McKenna College is team Phoenetics: Kate Anello '16, Milly Fotso '16, Vanessa Liu '17, and Khadija Hassanali '17. By advancing to the Hult Prize Regional Finals, these students will go head-to-head in the world’s largest student competition and start-up platform for social good. In partnership with former President Bill Clinton and the Clinton Global Initiative, the innovative crowdsourcing platform identifies and launches social ventures that focus on building start-ups that provide sustainable, high-quality early education solutions to millions of children under the age of six in urban slums and beyond by the year 2020. The Hult Prize gives entrepreneurs from around the world a platform to innovate and revolutionize the way society thinks about servicing the poor. Each team selected was chosen from more than 20,000 applications received from over 500 colleges and universities in over 150 countries. Student teams are competing in the Hult Prize regional finals on March 13 - 14 in Boston, San Francisco, London, Dubai and Shanghai for a chance to secure $1 million in start-up funding to launch a sustainable social venture. A final round of competition will be hosted by President Bill Clinton and the Clinton Global Initiative at its annual meeting in September, where CGI delegates will select a winning team, which will be awarded the $1 million Prize by Clinton himself.